Free 5-8 business-day shipping within the U.S. when you order $25 of eligible items sold or fulfilled by Amazon. Only 14 left in stock (more on the way). From the #1 New York Times bestselling “high priestess of French lady wisdom” (USA Today) comes every woman’s guide to navigating the world of work, living the good life, and savoring every minute of it. Mireille Guiliano, internationally bestselling author of French Women Don’t Get Fat and former senior executive for Veuve Clicquot, uses her distinctive French woman’s philosophy and style to share lively lessons, stories, and helpful hints from her experiences at the front lines and highest echelons of the business world. Guiliano offers every reader the practical advice she needs to make the most of work without ever losing sight of what is most important: feeling good, facing challenges, getting ahead, and maximizing pleasure at every opportunity. 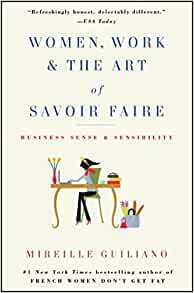 Mireille Guiliano is the bestselling author of French Women Don't Get Fat, French Women For All Seasons, and Women, Work & the Art of Savoir Faire. Born and raised in France, she is married to an American and lives most of the year in New York and Paris. 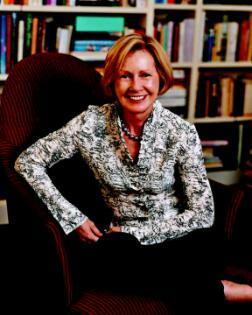 She is the former President and CEO of Clicquot, Inc.
Start reading Women, Work & the Art of Savoir Faire on your Kindle in under a minute. 5.0 out of 5 starsGreat reading, entertaining, and it has sensible tips. Great reading, entertaining, and it has sensible tips. I do agree that balance is crucial, whether at work or in my private life. I have incorporated her suggestions of balancing out my diet, such as if I over indulge one day, the next I cut back a bit. I also pay more attention to pamper myself a bit, which often times falls short with being a working mom and mother of a toddler. But I try to take care of myself so that I feel balanced and centered, which translate to a better wife and mom. Also, I slowly make my own style and pay more attention to what really works for my appearance, rather than trying to fit into the images that I see on magazines and TV. i'm a man, got the book because I enjoyed the "dont get fat " very much. I just started reading it, but I'm anxious to share my pleasure so far. this book has a lot of common sense stuff that we seem to forget over the years, actually a good and pleasant reading for a man too ( I'm 54 ), I would definitely strongly suggest this reading to college kids or everybody in his 20's. But like I said, myself at 54, I really enjoy the reading, beside sharing her experience how she climbed and approached her career ( and this in the super competitive New York and male environment ). Another wonderful book by Mireille Giuliano. Always generous in sharing stories and tips, valuable at any stage of your career, in professional and personal life. I love the passage where she says that, sometimes, when she is having a meal she is already thinking about the next one. Someone would say that of myself as well! And now I feel like in very good and special company! Having read "French Women Don't Get Fat," I decided to pick up this book. I regret it. The appeal of the former: its philosophy was different than that of American culture and so was insightful in bringing a new perspective/approach. This book: not so much. It's common business sense and not particularly interesting. Too much about her own achievements, too much fluff. I found myself skimming the book for the headlines of the chapters, then finally just putting it down. 3.0 out of 5 starsStarted well. . .
Perhaps my expectations were higher than they should have been, but I felt rather let down by the end of the book. Mireille Guiliano seems like a lovely lady; very chic, very enthused with life and happily willing to share all this with us and for that I am appreciative, but I read her book almost immediately after finishing Ivanka Trump's business book and so don't laugh when I say that although they may seem poles apart in the generation stakes these ladies were very similar in their advice; putting in the hours, hand written notes and behaving like a lady. . . I think I was expecting something a little more profound from Ms. Guiliano given all her years in business and life; the secret of how to obtain that "je ne c'est quoi" would have been nice - this vital ingredient which chic, stylish older women tend to exude, and which is of course called confidence. Maybe that is why Ms. Trump's book is not dissimilar - both these ladies exude oodles of confidence. Of course it could also be that the advice given by both women is simply timeless but needs to be said in a variety of ways to capture each new generation or to remind those of us who've been around a while that old-fashioned methods still work. . . A nice read if you've not read any business or lifestyle books in a while. Candid, yet pleasant reminder of the common sense so few actually put into practice. It’s a quick read, well worth the time. I enjoyed reading this book during my college years and decided to order one for a friend who recently graduated college. It is a light & fun read and Guiliano highlighted some etiquette tips which helped her maneuver through her professional career. I recommend it for young professional females everywhere. Mirielle Guiliano was the CEO of Veuve Clicquot Champagne. I am interesed in successsful, powerful business women who manage to retain their female side. Ms. Guiliano clearly understands the importance of innovation, branding and quality control for managing a company. Yet, she never feels like she has to be "one of the boys" in order to be successful. All of the ideas in the book clearly support this concept.